Do you want to perform live music and get paid for it, but don't know where to start? 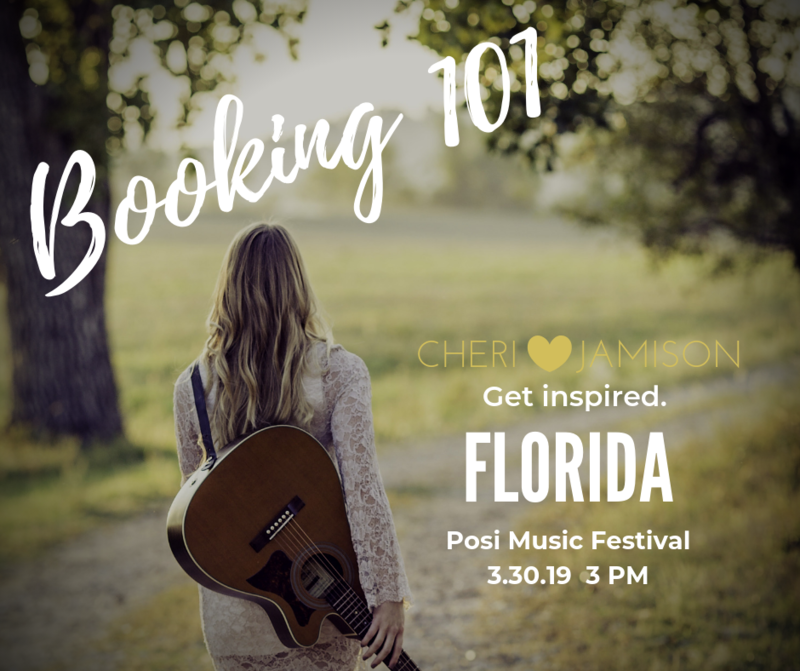 Cheri Jamison, a former Vice President of Operations for a worldwide music agency, will "tell all" in this practical workshop about the ins and outs of the music industry. You'll walk away with a contract template, check lists, and reference sheets, so you can start being your own agent today. Cheri is a passionate advocate for well-being of artists and a rising thought leader in the Arts Industry. During her Master's degree program, Cheri united practical psychology with her love of the Arts into a unique and holistic coaching program for musicians. She has since helped many performers overcome stage fright, clarify their artistic visions, and fine-tune marketing materials with their authentic brand, so they can get out of their own way and enjoy a career doing what they love. As Vice President of Operations at Cadenza Artists, a global music agency, Cheri's commitment and passion for supporting artists defined her work. ​Every area Cheri touched was more organized, streamlined, and better managed than she found it. She created a procedure manual for Artists, internal operations manual, employee handbook, and job descriptions. Cheri spearheaded and oversaw a reorganization of the company. She transformed how customer service requests were handled for artists and presenters, to ensure that the team was able to attend to every detail including booking, advancing, tour budgeting and reconciliation, US and Canadian visas, taxes, and artist marketing materials.